Now then, how did that summon chocolate spell go? This is an experiment in the use of light. There are more light sources in this image than in any other image I have attempted so far. I thought the overall result rather pleasing, and the modest amount of red light present adds to the overall effect. 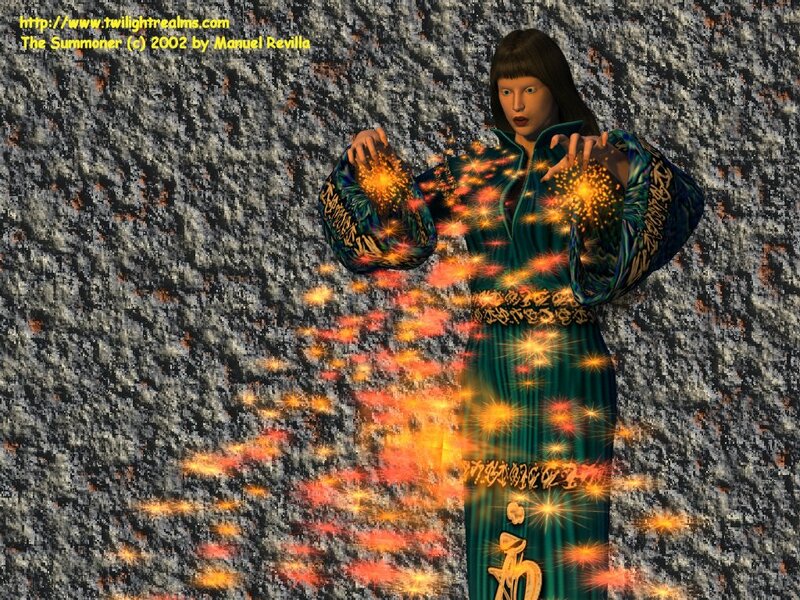 This image was done in Poser 4 and Bryce 5. The text was then inserted with Paint Shop Pro 7. As the last step in the process, a digital watermark (copyright) was imbedded into the image using Digimarc software. This image is available in several sizes for you to enjoy as desktop wallpaper. You may click on any of the following links to gain access to a larger image. Please choose from: 800x600 and 1024x768. Remember that these larger image files will take longer to download! 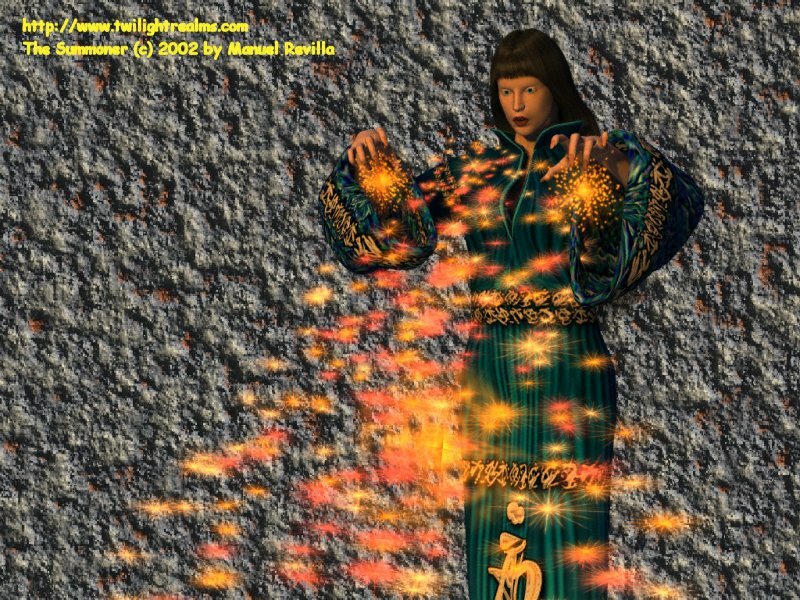 The Summoner is copyright 2002 by Manuel Revilla, all rights reserved.